PT Pamapersada Nusantara (PAMA) as part of Astra Heavy Equipment, Mining and Energy has established as the Indonesia's leading mining contractor with the biggest market share in Indonesia. 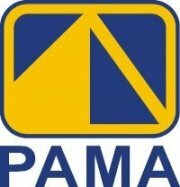 With operations throughout the archipelago, PAMA has its competency that is acknowledged by National and International Mining Management System Certifications as well as Safety, Health and Environment. Candidate must possess at least a Bachelor's Degree, Master's Degree / Post Graduate Degree, Law or equivalent. Applicants must be willing to work in Kawasan Industri Pulogadung. Candidate must possess at least a Bachelor's Degree, Master's Degree / Post Graduate Degree, Psychology or equivalent.